Happy Halloween! Keeping with my philosophy of some things being more important than blogging, I'm taking the day off to spend with the ghosts & goblins here in the neighborhood. I'll be back tomorrow with more tech news and more clinical trials. i've got some good things coming up, so keep checking in daily. Now go out there and have some fun! In keeping with the tradition we started about 3 years ago, we'll be making and handing out fresh funnel cakes tomorrow to anyone who stops by. I'm mean, who wouldn't rather have a funnel cake than a candy bar? Thanks also to FreeFoto.com for the use of the photo above. Well, I finally did it. I'm back with Samsung after a brief second fling with Palm. I was a Palm user for years, going way back to the good old days of the actual Palm Pilot. I was a loyal user through many variations of the hardware and software... heck I even used to TEACH how to use Palm software before there was even a phone interface for it. However, that's all gone now. Two years ago, Sprint came out with the Samsung Instinct and I dropped by old Palm Treo for it. I was with the Instinct for about a year and I really liked it, but friends and Sprint employees kept telling me I had to get the Palm Pre. Based on their recommendations, I made the jump. I was happy... for a while. The new OS was nice and I liked the true multi tasking, but the device just didn't sell like anyone was hoping and Palm was purchased by HP. I knew then, my device was doomed. HP was certainly not going to work on fixing legacy hardware and so I was stuck. Furthermore, the software was buggy, even with the rare fixes that were pushed out. I routinely waited for 60 seconds or so for my calendar or Twitter app to load. Seriously, a calendar on a smart phone that can't load? That's unacceptable. When the EVO came out from Sprint, I was tempted, but I'd had good luck with Samsung before. The Driod OS has proved itself and I wanted something fast and 4G. My overall impressions so far? Well, I've had it now for about 15 hours... but I like it. This thing is blazing fast with loading apps. The 4G speeds scream, but I knew that already. It has an interchangeable battery and I bought the spare battery charger so really, I don't care that much about battery life. The slide out keyboard is very nice and easy on the fingers. It also has a memory card slot so I'm not going to bump into a low memory situation. Oh, and the screen is just blow you away impressive. Add to that the great Sprint customer experience I had and this a match made in heaven. So, Palm... it's not you... it's me, OK... OK???!!! Aw, never mind the feel good stuff, Palm you gave me a crummy device and I won't get fooled again. You can't be a true Geek without a deep rooted love of the Lego brick. Then... pair that with the Nintendo Wii and it's a really rare Geek moment when the stars align in complete tech bliss! Check out this bad boy of geekdom! This is not an inanimate toy, this is an actual licensed Wii remote that is also licensed by Lego. It allows the owner to design and build their own Wii remote made from Lego bricks. If you don't want one (and you know you do) you can use the age old excuse that you have to have one for your kids. They are available for $40 from major toy stores such as Toys R Us. Build, play and customize with this fully featured LEGO remote for Wii! Use your own official LEGO pieces (not included) to build a custom display stand using the Buildable Battery Cover. The remote features internal accelerometers, an internal speaker, rumble effects and larger buttons for enhanced control during game play. Works with most Wii chargers and attachments (using included Standard Battery Cover). Includes Remote, Wrist Strap, 2 Battery Covers, and 31 Mini LEGO tiles with LEGO Tile Separator. Compatible with Wii MotionPlus. ﻿Build, play and customize with this fully featured LEGO remote for Wii! The remote features internal accelerometers, an internal speaker, rumble effects and larger buttons for enhanced control during game play. Works with most Wii chargers and attachments (using included Standard Battery Cover) and is compatible with Wii MotionPlus. Includes Remote, Wrist Strap, 2 Battery Covers, and 31 Mini LEGO tiles with LEGO Tile Separator. Officially licensed LEGO product, developed by POWER A. Whether it happens to be needed in your home or dental office, sometimes you need to be able to see in places where you just can't get a human being to fit. If that's the case for you, help may soon be on the way. Actually, help is already here, but the price tag is a little high for my tastes. This is the Moolge from Daiwa and it is a remote controlled robot that allows for inspection of those aforementioned tight spaces. Current cost is $2500 or you can lease it for $500 per month (only in Japan). The device uses tractor treads to move, is equipped with a remote control steering system, a laser range finder, and has WiFi. It also has 2 cameras, one to drive and one to inspect. As the price falls, I can see devices like this available for rent or purchase from retailers like the Home Depot. 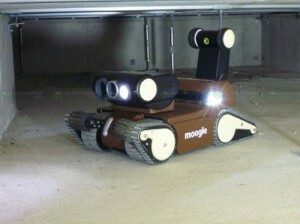 I mean, if they'll rent you a truck or backhoe, why not a robot to inspect your foundation? I'm sure that future generations will even have tools that can be used to fix a problem once you find it. We've all got little nooks and crannies in our homes that we should probably be checking on occasion, but we just can't do it economically. This may be just the thing in a year or two. For the last several years, I've been a big fan of Exorvision monitors. 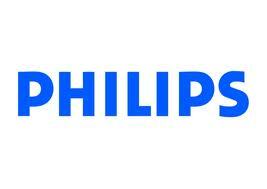 The company specializes in monitor technology that is specifically made for the dental environment. All of their monitors are glass sealed and water resistant so they can be disinfected by wiping them down... including the screen! From their website: Per the National Electrical Code, the dental office is classified as a "Patient Care Area," and since liquid is present, it is also classified as a "Wet Location." The electrical code is stricter for these special conditions. Hygiene is also an OSHA concern in these areas. A regular PC monitor is designed for the office environment where the code requirements are less stringent. The ExorVision LCD monitor, on the other hand, has been designed specifically for the dental office where patient safety and operatory hygiene are central issues. Their latest model is now sitting on my desk as I type this. It is the ET19Hm. This beauty is a 19 inch monitor with inputs for composite video, S-video, VGA, and...DVI!!! That's right, the DVI port on my Mac is connected directly to the ET19HM with no adapter. Needless to say, the image is amazing. Overall, this thing is impressive. It's been in use now for about 24 hours and I'm still getting used to the sharpness of the images. If you need a monitor, make sure you check out Exorvision. I'm confident you'll be as amazed as I am. OK, I'll admit it. I'm a magnification junkie. No matter how well I see, I've got to try to see better. It all started many years ago when a good friend of mine convinced me to try using 2.6 mag while I treated patients. I'd always had excellent vision and really had a hard time justifying learning to use them. I finally settled on a pair by Orascoptic and I've been a dedicated Orascoptic fan ever since. For the last several years, I've worked in my trusty Orascoptic 4.8 TTL surgical telescopes. I've become addicted to them and literally don't see a patient without them. They are one of my very favorite technological investments. Now, I've entered the next phase. I've begun using a Zeiss operating microscope and I've got to tell you, it's flat out amazing. Today I did my first endo case using it and you just can't believe what you can see. Like all new procedures, it will take me a while to get my speed up while using the scope, but I don't think the learning curve will be that steep being as I've been working under a fairly high mag for years. Overall the beginning experience has been a good one. I'm expecting my photo adapter to come in this week so that I can take pictures straight through the scope... that should be fun. I've also figured out how to run the scope's S-video out through the capture card in the computer. That means that I can show the scope live on the patient monitor. For all those patients who have wanted to see what I'm seeing live, this could be the answer. I'll be writing more about my experiences as I progress through the learning curve. A big thanks to my buddy Paul Feuerstein for this one. I still remember being in college and a couple of gals I knew worked at a local department store in the electronics Dept. They invited severals of us over to see this brand new gizmo from Sony. It was called the Walkman and had the most amazing sound we had ever heard. Of course then only constant is change, and now Sony has announced the end of the cassette Walkman line. The name will continue, but once the current inventory of cassette devices is sold, that's all there will be. It's sad, but really, how many cassettes do you own? Me neither. For those of you who are fellow road warriors, you may be looking for a mouse that not only suits your needs, but also is easy to transport. Look no further than this new mouse from Genius. The folks at Genius continue to bring products to the market that are affordable while being durable as well. That's a rare combination! MIAMI (October 21, 2010) – Genius (www.geniusnetusa.com), a brand division of KYE Systems Corp., today announced a new addition to the company’s extensive line of notebook mice, the Navigator 305 mouse with retractable cord and Stick-N-Go mount for easy transportation. The Navigator 305 uses a 1200 dpi optical engine for accurate cursor tracking and speed. 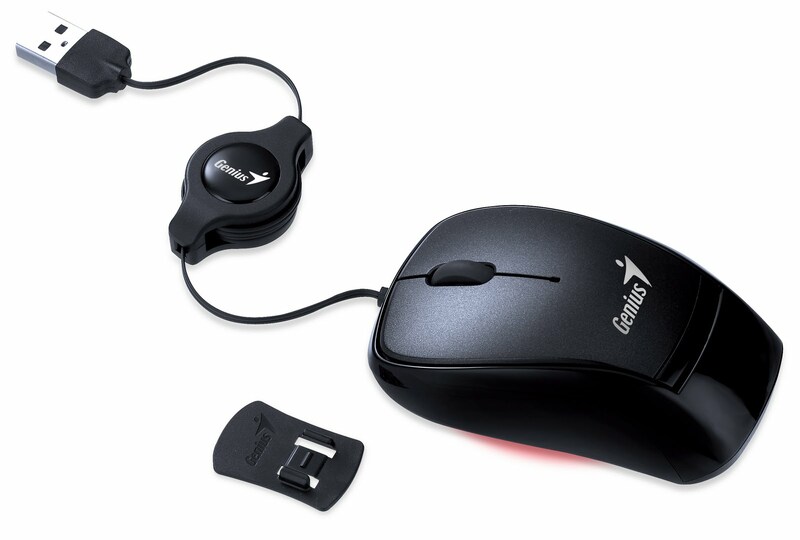 The 85mm mini-sized mouse is comfortable to grip for either hand and has a 70cm retractable cable for easy storage. The Navigator 305 also includes a Stick-N-Go mount that allows the user to attach the mouse to a notebook or laptop, creating an ultra portable mouse perfect for traveling around home, office or anywhere! Compatible with Windows 7, Vista, XP, Mac OS X 10.4 or later, Navigator 305 mouse is available in royal blue or black and attractively priced at MSRP USD $12.90. The new Navigator 305 mouse starts shipping in October 2010. Interested shoppers can go to New Egg.com, Amazon.com, www.geniuseshop.com, Tiger Direct, Buy.com or for more information on the entire line of Genius products and other retailers and distributors please visit: http://www.geniusnetusa.com/. As a member of the Pride Institue Panel that chose the 2010 "Best of Class" Technology Award Winners, I can say that it wasn't an easy job. There are a lot of great companies in the dental market that make some amazing products. Any time you start to narrow things down and actually declare a winner in a category, it can become challenging. Trust me when I say that the discussions of the panel weren't always relaxed and easy going. However, I've got to say that I think we came up with a definite list of companies and products that truly are "Best of Class" for 2010. One of those companies is Sirona and they were so pleased to be chosen they put out the following press release. I've got to admit, I'm flattered they felt so honored. Charlotte, NC (October 19, 2010) – Sirona Dental Systems, LLC (Nasdaq: SIRO), the company that pioneered digital dentistry 25 years ago and the world’s leading producer of dental CAD/CAM systems, was recently honored by the Pride Institute with two prestigious “Best of Class” awards for its CEREC® CAD/CAM system and CEREC® AC CAD/CAM system, powered by Sirona’s patented Bluecam technology. A panel of dental technology experts organized by the Pride Institute placed both Sirona’s CEREC and CEREC AC technologies on the list of winners for its best “Diagnostic” technologies category. Specifically, the Pride Institute panel of clinicians concluded that Sirona’s CEREC CAD/CAM restoration system trumps all others for superior CAD/CAM restorations. Additionally, Sirona’s CEREC AC acquisition center has been granted the “Best of Class” award in Pride’s Diagnostic category for outstanding digital impressions. For 25 years, CEREC milling units have allowed dental professionals to create superior dental restorations with textbook speed and precision. CEREC systems are available with the widest range of materials and indications, and users are continually provided software updates as the technology evolves. Moreover, the CEREC AC CAD/CAM system is differentiated by Sirona’s patented Bluecam handheld acquisition camera, which uses a highly visible blue LED (light-emitting diode) to capture extremely precise digital impressions. The 13 winning companies and their products were chosen through an unbiased, rigorous assessment selection process in conjunction with a distinguished panel of known technology experts. Selected by majority vote, the Institute’s Best of Class products represent those that are outstanding within their specific categories. The winning technologies are divided into four categories: Foundational, Diagnostic, Therapeutic, and Emerging. The Pride Institute Best of Class Technology awards were launched in 2009 as a new concept to provide an unbiased, non-profit assessment of available technologies in the dental arena. Winners of the award are invited to participate in a Tech Expo event that is showcased at the American Dental Association’s annual meeting. Moreover, the reputability of this award has already garnered the attention of numerous journals that highlight and feature the winning technologies in several leading dental publications, including Dental Products Report, Dentistry Today, and Dental Economics, among others. The prestigious Pride Institute is a leading dental practice management research and consulting company that has built a large and dedicated following of dental professionals in its 36-year history. For more information about any of Sirona’s CAD/CAM and digital impression solutions, call your local Patterson branch, 800-873-7683, or visit www.sirona.com. Sirona, the dental technology leader, has served dealers and dentists worldwide for more than 130 years. Sirona develops, manufactures, and markets a complete line of dental products, including CAD/CAM restoration systems (CEREC); digital intraoral, panoramic, and 3D imaging systems; dental treatment centers; and handpieces. Visit http://www.sirona.com for more information about Sirona and its products. Chip makes AMD and Intel are concerned, although not overly so, about the fact that the must have gadget for this Christmas season is the iPad... and it doesn't use a chip made by either company. It seems that with the sudden onset of consumer devices that are more like slates and less like traditional computers, the major chip makers have taken a bit of a hit. While the iPad and it's near to market cousins are occupying the consumer side, the sales of notebooks and netbooks has declined. For further info on that fact, check this out. The other interesting thing that has come out of all of this, is that Apple has overtaken Acer to become the number 3 PC maker in the U.S. That's pretty amazing. The sales of desktops are steady due to big businesses still buying lots of them, but the portable market has taken a hit from the iPad. Of course there is always the philosophy of a rising tide floats all boats. This could be a temporary setback as the market adjusts and then demand will return with a vengeance. As someone who owns an iPad, I certainly don't think I could do without my laptop... and I certainly didn't purchase my iPad to replace one. I feel this is a temporary hiccup. As someone at Microsoft said, and I agree with this, the iPad is great for consuming media, but not so great at creating it. Held each year during the Chicago Dental Society Midwinter Meeting, the OHA Gala is a highly anticipated networking event that has become so popular it regularly sells out. The black tie optional evening features a cocktail reception, four course dinner and dancing with live music. Oral Health America is also seeking event sponsors at the Gold ($3,000), Platinum ($5,000), and Diamond ($10,000) levels. Tickets are $300 each ($325 after January 15, if still available); a table for 10 can be purchased for $2,750 ($3,000 after January 15, if still available). To purchase tickets, sponsorships, or additional information please contact Joe Donohue at OHA by calling 312-836-9900 or email him at joe@oralhealthamerica.org. Oral Health America is dedicated to connecting communities with resources to increase access to care, education and advocacy for all Americans, especially those most vulnerable. Find out more at www.oralhealthamerica.org. In the last year, have you seen the commercials on TV for 3D televisions? Me too. Have you purchased one? Me neither. It turns out that very few of the expensive devices have been sold. It seems that only 3.2 million 3D TVs will be shipped worldwide this year and the number of those sets that will be in the continent of North America is expected to be 1.6 million. Speculation as to why they haven't caught on is rampant. Ideas range from a lack of content, to nausea for some viewers, to eyestrain. Manufacturers were hoping that with the success of 3D movies seen at major cinema complexes, consumers would be ready for these in their homes. How about this for a reason? I don't want to have to wear the stupid glasses every time I watch TV. I can't even find the remote about half the time so why would I want to add to the frustration. Do these manufacturers have kids? Have they ever seen the havoc that a toddler can wreak on a highly organized home? Oh, and they want me to pay more for these sets as well. Seriously though, I think that with the idea of the home theater in full swing, lots of individuals have probably spent a good sum of money on a great television already and just can't justify another expenditure. When you bring the economy into the equation, it makes even more sense to me. Plus, while I think it's cool to see a movie in 3D at the local movie house, I don't really want that in my home... at least at this point. Further, I've had a chance to play with some pretty cool 3D technology that doesn't require glasses! I've had some alpha prototypes in my office this year and the technology is definitely promising. When it comes to TV that forces me to wear glasses? That's a solution looking for a problem, if you ask me. USB 3.0 is coming... and it's going to be blazing fast compared to what we're used to. Now Iomega has thrown a new wrinkle into speed with an even faster USB 3.0 Solid State Drive (SSD). These things are tiny 1.8 inch drives and they are also fast. How fast? Consider that their read/write speeds are up to twice as fast as a 7200 rpm SATA drive and 10 times faster than USB 2.0. Add to that the fact that there are no moving parts to wear out and you can clearly see the advantages of this system. The drawbacks? Well there are always some of those, aren't there? It's the cost. At this point 64GB will cost $229, 128GB will cost $399, and 256GB will cost $749. The drives should be available in early November. Here's a nifty little item that just got a whole lot better. 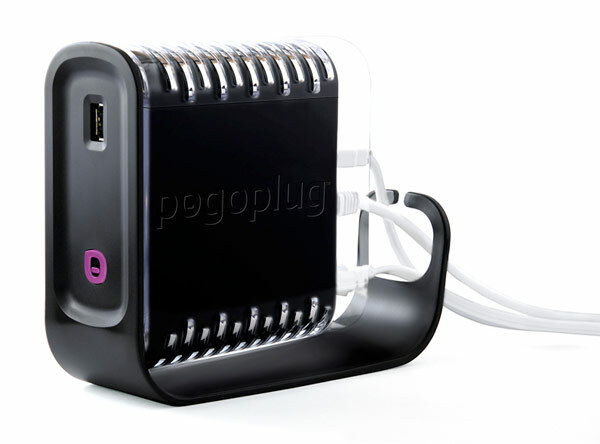 The Pogoplug is a device that allows you to plug in USB external drives and then it makes them available over the net without being attached to a computer. How cool is that? Imaging being able to access important files stored in the safety of your home or office, anywhere on the planet? Even better is that the new Pogoplug Pro is wireless meaning that if you have WiFi setup already, you can plug the device in anywhere that can reach your WiFi network and you still have access to your files and drives without even connecting the device to your router. Sweet! Add to that the price of $99 and it's availability at Best Buy and there is no reason you shouldn't have one. What are you waiting for? For all the details, check out the Pogoplug website. 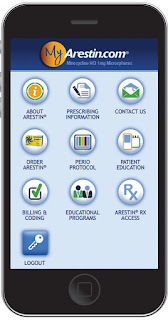 software to streamline treatment planning and review. Invisalign G3 builds on a new and improved feature set introduced to the Invisalign product line last fall. Precision Cuts, which are doctor-prescribed pre-cuts in the aligners that accommodate the use of elastics. placement and the type of Precision Cuts on the aligners, making it easier for doctors to use Invisalign. using advanced virtual modeling, and are positioned precisely to deliver the proper forces. placement of the attachment may have previously been difficult. 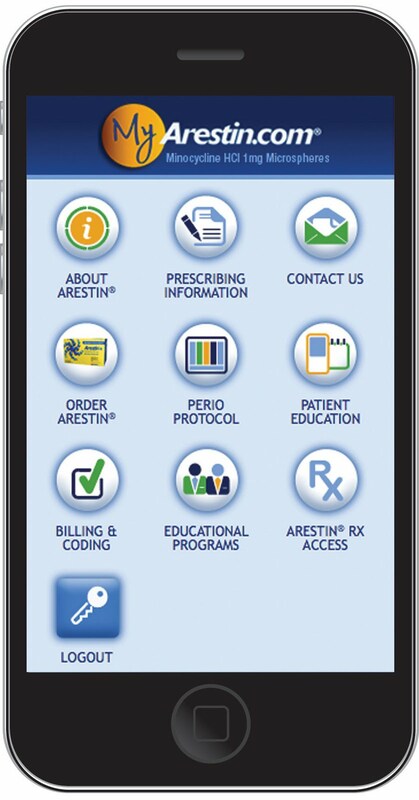 prescription form that is integrated with the doctor’s clinical preferences. staging for interproximal reduction (IPR), and the addition of Compliance Indicators to Invisalign Assist. Here's a pretty cool new product with an inviting price tag. If you are looking for an intraoral cancer screening system, give this one a look. 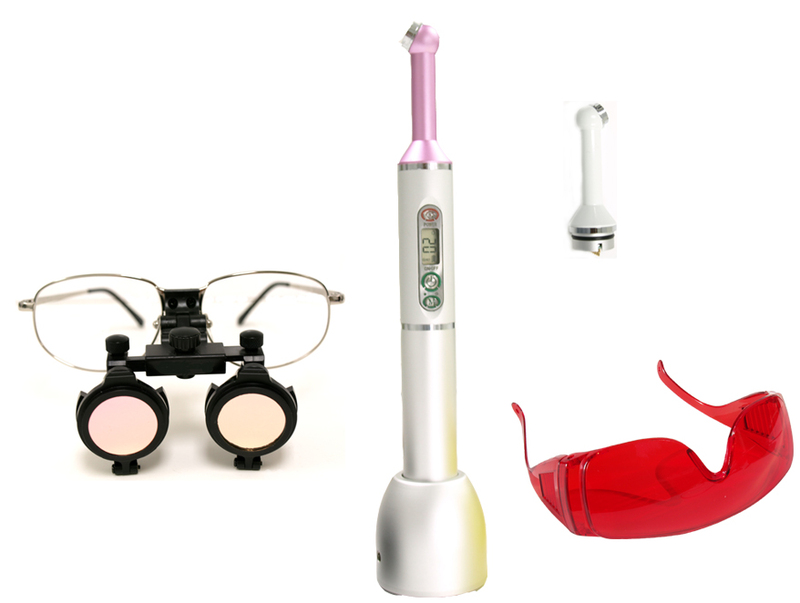 DenLight Inc., innovators of the award winning FUSIONTM Curing Light, NanoTM Loupe Light and high technology LED optics lighting systems, is pleased to announce the launch of DOETM ‐ a rechargeable battery powered cordless dental oral health examination system. It is designed for visualization of mucosal abnormalities and oral lesions including oral cancer based on proven and patent‐pending magnified fluorescence imaging technology. DOE full system consists of a cordless wand with an interchangeable light head (White and Violet) that illuminates high power collimated LED beam, high contrast magnified fluorescence filters, charging stand, power adapter, and patient protective eyewear goggle. 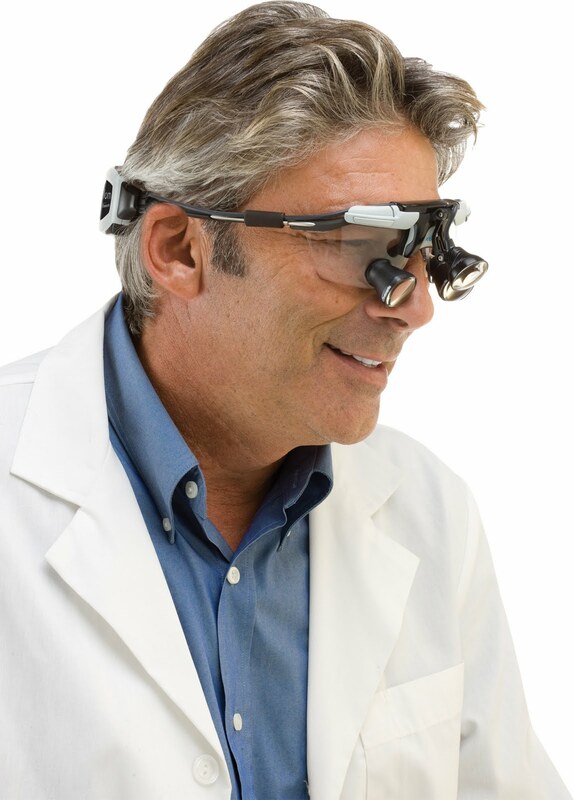 DOE is offered for the general dentists and oral surgeons at an affordably price of under $2,000 for the full kit and under $1,000 for current FUSION curing light users with an upgrade starter kit. DentLight, Inc has been innovating advanced LED optics technology based dental lighting products for many years and the DOE system proves that “from bright minds come bright products”. As regular readers know, I'm very passionate about magnification and what it can do to improve the quality of care we provide our patients. When I start my day, I slip on my Orascoptic 4.8 TTL surgical telescopes and I don't take them from around my neck until the last patient is gone. 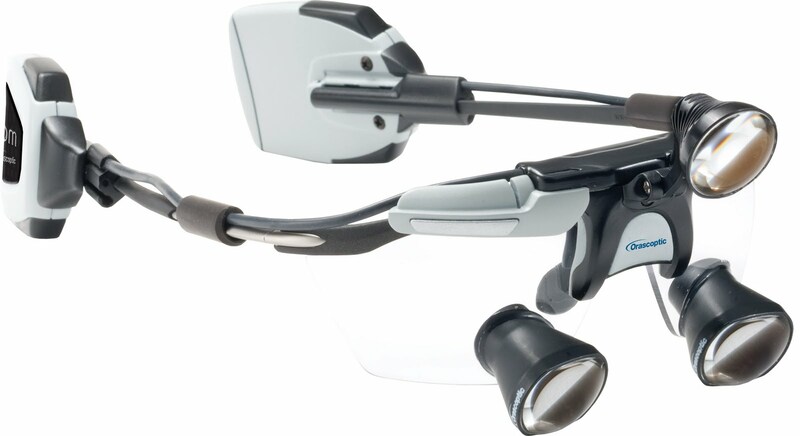 The revolutionary Freedom light is powered by small rechargeable battery pods that attach directly to the loupe frame. There are no cumbersome cables or heavy belt-packs! The lightweight headlight delivers 4,000 foot candles. Constant current technology ensures that the illumination will maintain its intensity over the full run-time of the batteries. Innovative capacitive touch technology allows the practitioner to control the light while holding instruments, and also eliminates bacteria traps associated with traditional buttons, knobs, or switches. The Freedom system includes a battery charging station and 4 fast-charging hot swappable batteries that deliver 6 hours of illumination. The compact pods and lightweight headlight attach to virtually anyTTL loupe model on the market. The pioneering design features a weight-neutralizing counter-balance between the battery pods and the headlight. Weight disbursement can be customized to relieve the forward pressure on the nose. MIAMI (October 8, 2010) – Genius (www.geniusnetusa.com), a brand division of KYE Systems Corp., today announced a new addition to the company’s extensive line of mice, the Navigator 905 mouse with BlueEye Tracking, a powerful Blue optical engine with high laser precision that reduces power consumption. The new mouse includes 2.4GHz radio frequency for wireless freedom and convenience. The Navigator 905 2.4GHz anti-interference RF technology gives the user up to 10 meters working range and 1200 dpi resolution for accurate cursor tracking and speed. The mini-sized mouse (85mm) holds one AAA battery and is comfortable to grip for either hand. The innovative BlueEye Tracking technology provides a powerful optical engine with high laser precision that works on almost every surface and helps save up to 40% battery power. 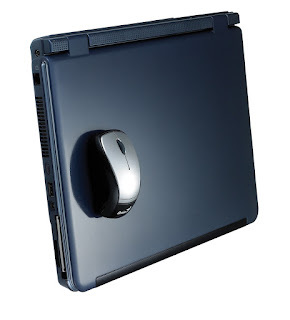 The Navigator 905 also includes a Stick-N-Go mount that allows the user to attach the mouse to a notebook or laptop, creating an ultra portable mouse. Compatible with Windows 7, Vista, XP, Mac OS X 10.4 or later, the Navigator 905 mouse is attractively priced at MSRP USD $29.90. * 2-in-1 slot for Pico Receiver and Stick-N-Go mount. The new Navigator 905 mouse starts shipping in September 2010. Interested shoppers can go to New Egg.com, Amazon.com, www.geniuseshop.com, Tiger Direct, Buy.com or for more information on the entire line of Genius products and other retailers and distributors please visit: http://www.geniusnetusa.com/. We all spend a lot of time around our computers nowadays. In fact, the laptop seems to be replacing the desktop computer for a lot of people. I know that certainly applies to me. Of course, one of the problems with the laptop, especially the high powered ones we use today, is the amount of heat they put off. They can be called "laptops" but they are more like "lap cookers" with the amount of heat they put off. There's also the aspect of their speakers. Many of us are consuming a Tom of media and those tinny speakers just don't cut it. That's where the Logitech Speaker Lapdesk N700 comes in. This cool item has a USB powered fan to keep you and the laptop cool and also comes with integrated speakers for much better sound. It's a win-win. For all the details click here to go to the website. If you are planning on being at the American Dental Association Meeting this weekend (and really... if you're in dentistry, why wouldn't you be there?) then stop by the Gendex booth and say hello! I'll be in the booth, #2903, on Saturday and Sunday talking about cone beam 3D imaging as well as my personal favorite cone beam device, the GXCB-500HD. Feel free to stop by to discuss the latest in imaging technology, other cool geeky stuff, or just to say "hi". The Orlando weather looks to be spectacular (surprise!) so come on down to Florida! I'm hoping to see lots of you there! As I love to say, the only constant is change. 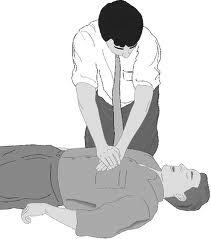 As a health care office, we review and are re-tested on CPR every year. While you can get by with every 2 year certification, we always feel better with the one year plan. The interesting thing to me is as the science evolves, how quickly the guidelines can change. It seems that almost every time our trainer Julie comes to the office, there has been some type of change to the way we last learned it. As an aside to this story, I love Web MD. The site is loaded with good professionally verified info and is written in a way anyone can understand. Cudos to them for providing this great article! Oct. 5, 2010 -- Bystanders who perform chest-compression-only CPR instead of traditional CPR with mouth-to-mouth resuscitation (rescue breathing) save more lives, a study shows. Researchers found that adults who experienced cardiac arrest in a non-hospital setting, such as a restaurant or mall, were 60% more likely to survive if they received compression-only CPR than if they received traditional CPR or no CPR until an emergency medical services (EMS) crew arrived at the scene. The findings are published in the Oct. 6 issue of The Journal of the American Medical Association. The researchers say chest-compression-only CPR may be easier to learn and remember than traditional CPR, which alternates between chest compressions and mouth-to-mouth resuscitation. Non-medical personnel may be more willing to perform chest-compression-only CPR, as they may not want to do mouth-to-mouth resuscitation -- especially on strangers. There may be additional benefits to this method as well. The survival edge may occur because interrupting chest compressions --- even just for rescue breathing-- may further hamper blood flow, and it takes longer to get that blood flow back when it is time for more chest compressions, explains study researcher Bentley J. Bobrow, MD, of the Arizona Department of Health Services in Phoenix. For the rest of the info, head over to WebMD. I love Evernote and have been using it for a couple of years now. It's a great way to keep track of things and keep them where you can easily get to them. The Evernote idea is an easy one. You create notebooks, say Travel, that hold notes. Each note in the Travel notebook could be all the info for upcoming trips. You can access this info over the Net, store it locally on your PC or Mac & sync it to the web, access it on your phone, iPad, iPod Touch, etc. All your miscellaneous info can be found in one place... The Cloud. Now you can install a Google Chrome extension that eve searches Evernote when you search via Chrome. Slick! For all the details on Evernote & how to get it working with Chrome, take a look at this Evernote blog entry. This is one of those moments. I stumbled across this video from Raytheon showing a prototype "exoskeleton" type device that allows the human wearing it to lift amazing weights, break things, and move said weights without tiring. This truly the beginning of an Iron Man type of device. Well, not exactly the beginning as this is the XOS 2 which is the next step up from the first prototype dubbed XOS 1. As a Tivo owner, I perked right up when I saw this. The Tivo Slide is a Tivo remote that also has a cool slide out keyboard. If you're also a Tivo owner, you know what a big plus that can be. If you are interested, you can order one from e-bay here. The only thing we can be sure of is change. In the 80's I can remember buying my first VHS player with stereo sound! I managed to afford cable and recorded all my favorite movies. Then came the idea of "Video Rental Stores" and you could eventually watch almost anything ever filmed. Then the market changed and we went to DVD rentals, then Blue Ray rentals. Then the market changed again and there was the renting of truly digital media that you could download. DALLAS, Sept. 23 /PRNewswire-FirstCall/ -- Blockbuster Inc. (Pink Sheets: BLOKA, BLOKB), a leading global provider of rental and retail movie and game entertainment, today announced that it has reached agreement with a group of bondholders holding approximately 80.1 percent principal amount of the Company's 11 3/4 percent senior secured notes (the "Senior Noteholders") on the material terms of a plan to recapitalize its balance sheet and put the Company in a stronger financial position as it continues to pursue its strategic plan and transform its business model. The recapitalization plan would substantially reduce the Company's indebtedness -- from nearly $1 billion currently to an estimated $100 million or less when implemented. To implement this "pre-arranged" recapitalization, the Company and its domestic subsidiaries have filed voluntary Chapter 11 petitions with the U.S. Bankruptcy Court for the Southern District of New York. Blockbuster's non-U.S. operations and its domestic and international franchisees, all of which are legally separate entities, were not included in the filings and are not parties to the Chapter 11 proceedings. All of Blockbuster's U.S. operations, including its stores, DVD vending kiosks, by-mail and digital businesses, are open and serving customers in the normal course. Blockbuster is fulfilling all orders as usual, including continuing to provide access to new releases the first day they become available. Blockbuster intends to continue honoring its Rewards program, valid coupons, gift cards and other customer programs. Blockbuster franchise locations in both the U.S. and abroad are independently owned, operated and funded, and are also continuing normal business operations. In addition, BLOCKBUSTER Express vending kiosks, owned and operated through a relationship with NCR, continue their operations in retail locations around the U.S. The Company's international operations in Canada, Denmark, Italy, Mexico, and the United Kingdom are also conducting business as usual. However, Blockbuster will no longer provide funding to support its operations in Argentina, which have experienced continued shortfalls in operating cash flow. Jim Keyes, Chairman and Chief Executive Officer, commented, "After a careful and thorough analysis, we determined that the process announced today provides the optimal path for recapitalizing our balance sheet and positioning Blockbuster for the future as we continue to transform our business model to meet the evolving preferences of our customers. The recapitalized Blockbuster will move forward better able to leverage its strong strategic position, including a well-established brand name, an exceptional library of more than 125,000 titles, and our position as the only operator that provides access across multiple delivery channels – stores, kiosks, by-mail and digital. This variety of delivery channels provides unrivaled convenience, service, and value for our customers." The Company has secured a commitment of $125 million in new "debtor-in-possession" (DIP) financing from the Senior Noteholders to help meet its obligations to customers, suppliers and employees in the ordinary course during the recapitalization process. As part of the recapitalization process, the Company will evaluate its U.S. store portfolio with a view towards enhancing the overall profitability of its store operations. Currently, all 3,000 of the Company's stores in the U.S. will remain open. Under the terms of the proposed plan of reorganization, the Company's 11 3/4 percent senior secured notes will be exchanged for the equity of a reorganized Blockbuster. The only debt expected to remain on the Company's balance sheet upon its emergence from Chapter 11 under the proposed plan will be the amounts drawn under Blockbuster's $125 million DIP financing, which will convert to an exit loan facility upon consummation of the plan, and a new exit revolving credit facility of up to $50 million. Under the proposed plan, there would be no recovery by the holders of the Company's outstanding subordinated debt, preferred stock or common stock. Keyes said, "We are pleased to enter this process with the support of the Senior Noteholders. Their willingness to provide the DIP financing and to support a plan to eliminate a substantial amount of the Company's debt in exchange for new equity is an important vote of confidence in Blockbuster." Additional information about the recapitalization is available at www.Blockbuster.com/recapitalization or by telephone at 877-660-6684 or 732-645-4110. General information for Blockbuster customers is available at www.Blockbuster.com or by calling 1-866-692-2789. The Company's legal advisor is Weil, Gotshal & Manges, its financial advisor is Rothschild Inc., and its restructuring advisor is Alvarez & Marsal. This release contains "forward-looking statements" within the meaning of Section 27A of the Securities Act of 1933 and Section 21E of the Securities Exchange Act of 1934. Forward-looking statements may also be included from time to time in our other public filings, press releases, our website and oral and written presentations by management. Specific forward-looking statements can be identified by the fact that they do not relate strictly to historical or current facts and include, without limitation, words such as "may," "will," "expects," "believes," "anticipates," "plans," "estimates," "projects," "predicts," "targets," "seeks," "could," "intends," "foresees" or the negative of such terms or other variations on such terms or comparable terminology. Similarly, statements that describe our strategies, initiatives, objectives, plans or goals are forward-looking. These forward-looking statements are based on management's current intent, belief, expectations, estimates and projections. These statements are not guarantees of future performance and involve risks, uncertainties, assumptions and other factors that are difficult to predict. Therefore, actual results may vary materially from what is expressed in or indicated by the forward-looking statements. The risk factors set forth under "Item 1A. Risk Factors" in our Annual Reports on Form 10-K and other matters discussed from time to time in our filings with the Securities and Exchange Commission, including the "Disclosure Regarding Forward-Looking Information" and "Risk Factors" sections of our Quarterly Reports on Form 10-Q, among others, could affect future results, causing these results to differ materially from those expressed in our forward-looking statements. Currently, the risks and uncertainties that may most directly impact our future results include (i) the ability of the Company to continue as a going concern; (ii) the Company's ability to obtain Bankruptcy Court approval with respect to motions in the chapter 11 cases; (iii) the ability of the Company and its subsidiaries to prosecute, develop and consummate one or more plans of reorganization with respect to the chapter 11 cases; (iv) the effects of the Company's Bankruptcy Filing on the Company and the interests of various creditors, equity holders and other constituents; (v) Bankruptcy Court rulings in the chapter 11 cases and the outcome of the cases in general; (vi) the length of time the Company will operate under the chapter 11 cases; (vii) risks associated with third party motions in the chapter 11 cases, which may interfere with the Company's ability to develop and consummate one or more plans of reorganization once such plans are developed, including the currently proposed plan; (viii) the potential adverse effects of the chapter 11 proceedings on the Company's liquidity or results of operations; (ix) the ability to execute the Company's business and restructuring plan; (x) increased legal costs related to the Bankruptcy Filing and other litigation; (xi) the Company's ability to maintain contracts that are critical to its operation, to obtain and maintain normal terms with customers, suppliers and service providers and to retain key executives, managers and employees. In the event that the risks disclosed in our public filings and those discussed above cause results to differ materially from those expressed in our forward-looking statements, our business, financial condition, results of operations or liquidity could be materially adversely affected and investors in our securities could lose part or all of their investments. Accordingly, our investors are cautioned not to place undue reliance on these forward-looking statements because, while we believe the assumptions on which the forward-looking statements are based are reasonable, there can be no assurance that these forward-looking statements will prove to be accurate. Further, the forward-looking statements included in this release and those included from time to time in our other public filings, press releases, our website and oral and written presentations by management are only made as of the respective dates thereof. We undertake no obligation to update publicly any forward-looking statement in this release or in other documents, our website or oral statements for any reason, even if new information becomes available or other events occur in the future.